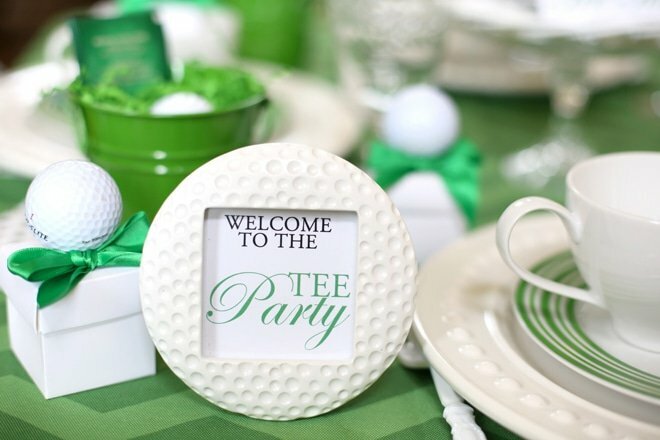 Host a Golf-Themed “Tee” Party! My husband is a PGA Golf Professional, so our life revolves around golf. August happens to be National Golf Month, so it’s pretty much Christmas in our house. I’ve been so excited about throwing a golf-themed tee party (yes “tee” party) to celebrate the occasion. Let’s talk “tee,” shall we? I love a simple place setting! 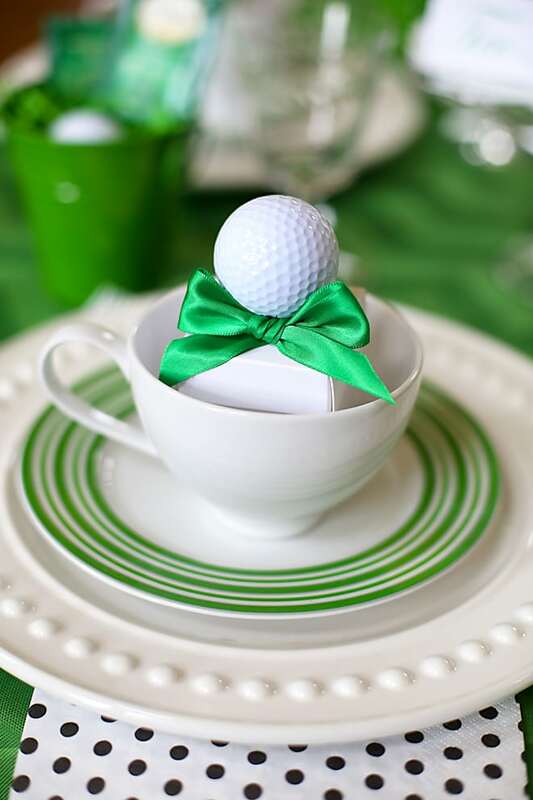 Golf balls adorned on mini favor boxes that held a simple truffle were easy + doubled as decoration! I found adorable black and white polka dot napkins at the party store. Do not be afraid to use paper napkins on a place setting. Yes, I love cloth napkins but sometimes, a whimsical print is just too cute to pass up! I also have free downloadable printables of the “tee time” signs over on my full post. They’re easy to grab, print, and add as simple decor! 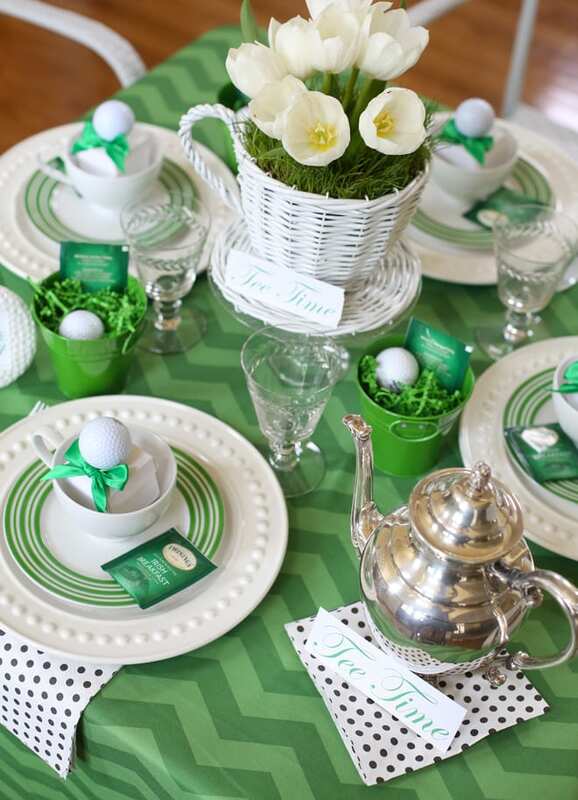 I think this would be a cute bridal shower or birthday party theme too! We need to bring “tea parties” back in style! Read my full post + see all the pictures over on eHow Home! Back to School Treat: Chalkboard Pops! Party Plan: Host a Girls’ Fiesta Night! I feel your pain – my husband is a former golf pro…and college golfer. Our house gets taken over by golf on Major Weekends…but I actually enjoy watching golf now! Adorable party as per usual! I’m not a huge golf fan but this “tee” party is adorable! Thank you Amanda! I’m not a golf player at all, I leave that to the hubs! So I’m with you but gotta love an excuse to party!